home use. And in such situation, difficulty in management becomes to be a problem. Remote Meter Reading System take standard WINDONS interface, which can be operated with mouse or keyboard at same time. It has multi functions that can bring you simply management. 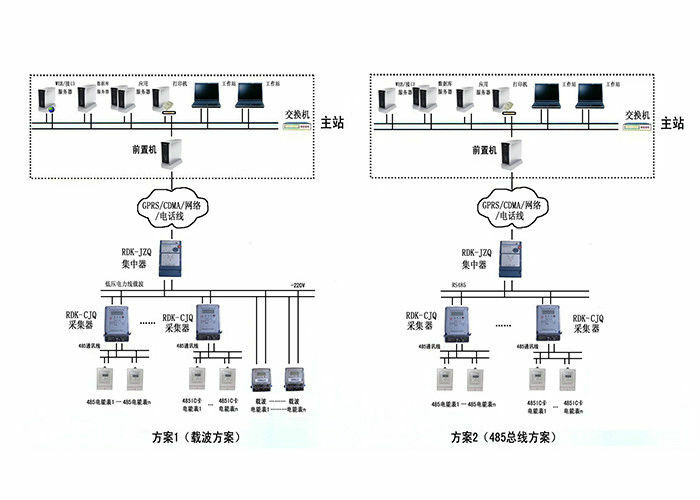 This configuration scheme is composed of RDK2000 automatic direct-reading system and Meter-Bus direct-reading liquid sealed cold water meter. 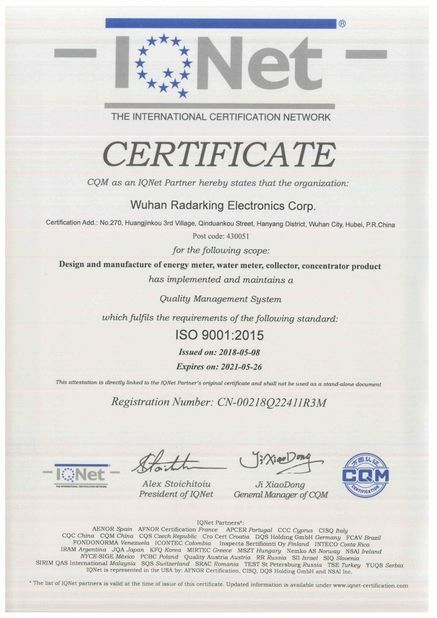 And accords with the JG/T 162-2009 Remote transmission meter reading system for residence, CJ/T 188-2004 Technical requirements of utility meters data transmission and CJ/ 224-2006 Electronic remote-reading water meter. The system consists of photoelectric water meter, concentrator and main station . Reading method: the data of water meter collected by concentrator will be transferred to PC station through 485 communication line. 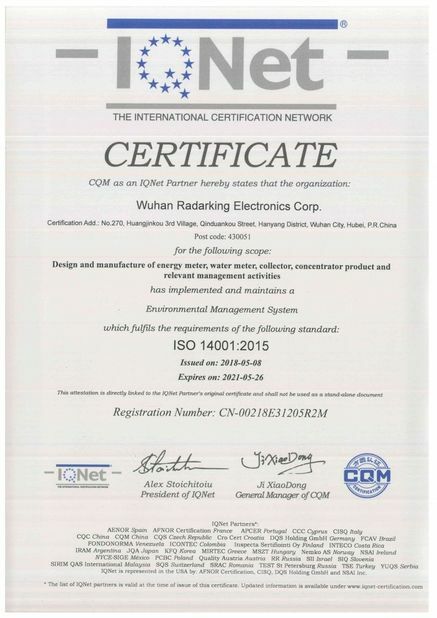 * The concentrator adopts international standard M-BUS (Meter-BUS,EN1434-3) bus structure. 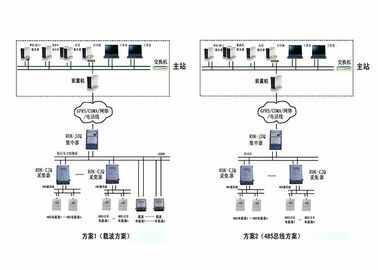 * Concentrator has four M-BUS channels and each channel can connect with 60 pieces water meter; one concentrator can be connected with 240 pieces water meter. * Concentrator can read out the data from the meter directly, then storage process them; the data will be transferred to main station through 485 lines. 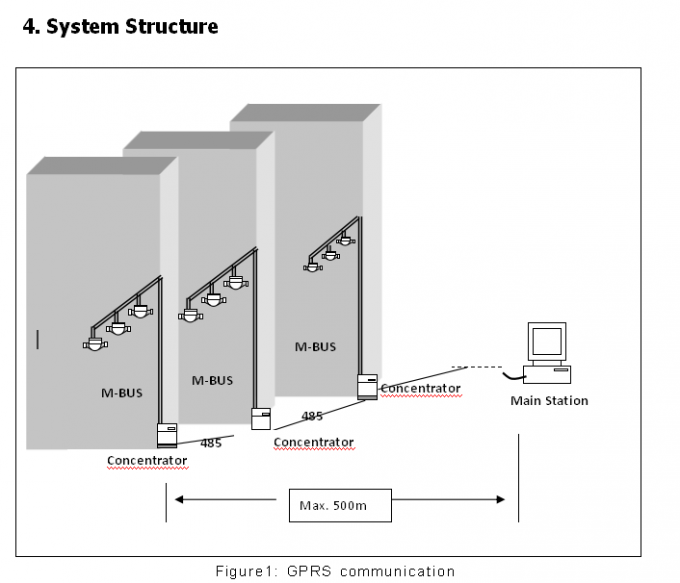 * Water meters are connected with four M-BUS channel of concentrator through M-BUS line and the max. Distance between concentrator and water meter is 400m.